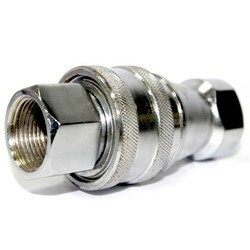 We are one of the renowned manufacturer, wholesaler, and exporter of a comprehensive assortment of Single Shut Off Coupling, Single Shut Off Heavy Duty Coupling, Double Shut Off Coupling, Double Shut Off Vacuum Coupling, Double Shut Off High Pressure Coupling, Camlock Coupling, Special Coupling, Pin Lock System, Industrial Manifold, Slide Valve, CNC Soft Jaw, etc. 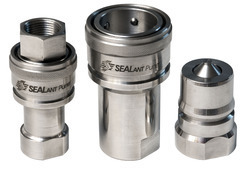 This entire array of products is designed by our professionals in our unit and is in tandem with clients' requirements and meet industry standards. We keep in mind the global standards while manufacturing these products in order to help our clients avail nothing but the best. Our team of competent professionals designs each product in such a way that it is easy to use and high in terms of performance. 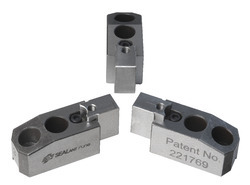 Manufacturer of a wide range of products which include cnc jaws, cnc special jaws, l series extra length base jaws, cnc jaws special type and inner and outer diameter cnc jaws. 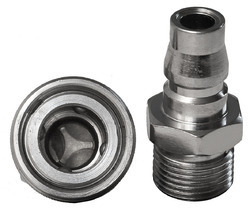 Pioneers in the industry, we offer double check valve quick release coupling, double shut off quick release coupling, pressure testing qrc, quick release coupling and single shut off quick release coupling from India. 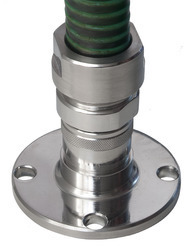 Prominent & Leading Manufacturer from Pune, we offer camlock coupling.